Of all the temples and holy places in India, the Trimbak Temple located in Trimbakeshwar Tehsil of Nashik (Maharashtra, India) is the most sacred place for the performance of Tripindi Shraadh. 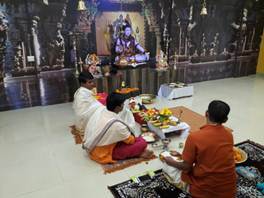 The Shraadh Pooja performed here is highly auspicious and effective. Why? It is because the Temple is one of the twelve Jyotir Lingas of India. 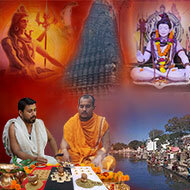 A Jyotirlinga described in the Shiva Purana is associated with Lord Shiva. ‘Jyoti’ meaning ‘divine light’ and ‘Linga’ meaning Shiva; so a Jyotirlinga means a radiant/divine light of Shiva. What does Tripindi Shraadh Mean? ‘Tri’ means ‘three’ and ‘Pind’ means offerings (made as balls) to the departed souls (Pitru or ancestors). Tripind Shraadh is a ritual or pooja wherein the offerings are made to the ancestors of the past three (tri) generations. The departed souls who had an accidental death or who died with unfulfilled desires exert their influence (pitru dosha) on their descendants in the family. This ritual aims to pacify, honor and liberate them from the pangs of material world. Performing the Tripindi Shraadh Puja at the Trimbak Temple is highly sacred and auspicious. 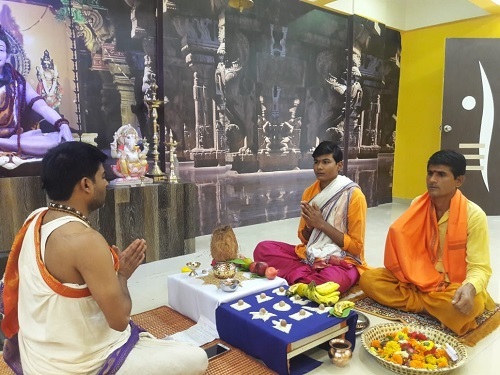 This pooja aims to appease the departed ancestors who reside in the Preta Yoni. Such residences are given to them because their family members fail to offer Shraadh to them. As per the shastras or scriptures, it is better if one periodically offers Shraadh to their ancestors on their death anniversary. Also the Shraadh ritual turns more auspicious if performed in the Pitrapaksh of the month of Bhadrapada (Sept-Oct). Why is Tripindi Shraadh Puja performed at the Trimbakeshwar (Trayambakeshwar) only? The Trimbak Temple is the most sacred because of the presence of three Lingams inside it. These holy lingams denote the divine Brahma, Vishnu and Mahesha (Shiva). Also you will find the ancient images of different Vedic deities such as Gangadevi, Jaleswara, Rameswara, Gautameswara, Kedarnatha, Rama, Krishna, Parasurama and Lakshmi Narayana.These lingams and deities make the Temple vibrant with cosmic energy which naturally reduce the negative energies (dosha, karmic reactions etc.) to zero. The divine nature of Lord Shiva has been described by the Prajapatis in the Bhagavat Purana (8.7.22). Lord Shiva was requested to save the world when the deadliest poison Halahala emerged during Churning of the Ocean (Samudra Manthana). saving each and every living being.This event indicates that it is only Lord Shiva who liberates the sinned from the reactions of his karma. It is Lord Shiva only who liberates the suffering living beings. 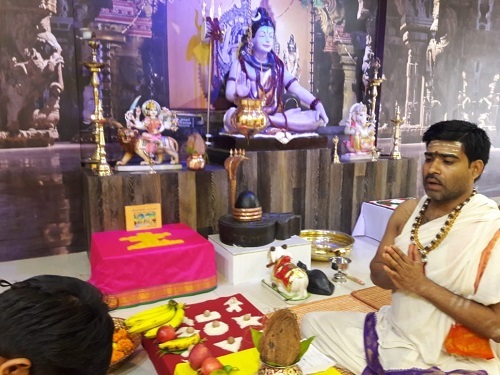 His divine nature purifies the malicious and rectifies the dosha of any sort.Therefore, the Tripindi Shraadh Puja performed at Trimbal Temple is highly rewarding and auspicious. Rudra Centre has its own temple in Trayambakeshwar. 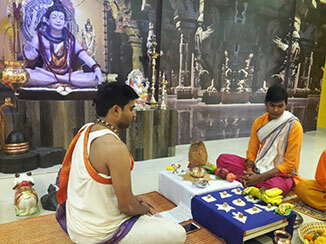 Narayan Nagbali, Kaal Sarpa Dosha, Tripinda Shraadh pujas are performed here by the able karmakandi Pundits. All the rituals are performed as instructed in the scriptures. This Puja is performed to provide liberation and peace to souls of one's ancestors. It is best for providing cordial and harmonious family relations. It is also performed for relief from physical, mental ailments as well as financial stability and peace of mind. Ordered a hanuman yantra and Sri yantra ring. Instant placing on ring could feel the energy. Nice work and beautiful craftsmanship. Just started my hanuman puja will report then. Thank you. Om shanti, shanti, shanti.